Today, the 12th April, is International Day of the Street Child. It is shocking to think that around the world today, there are an estimated 100 million children with nowhere to live apart from on the streets. 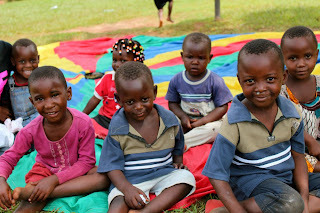 And sadly, many of these children live in Uganda, and particularly on the streets in Kampala. Several of these children attend Kids Club Kampala, and we are trying to find long-term solutions for these children and their situations. So today on International Day of the Street Child, we are launching our new Abandoned Children programme, and we are looking for friends and supporters to help us do so. These two beautiful children had just arrived in Katanga slum, Kampala from Western Uganda with their father a few months ago, when one day he went out to work and never returned. The children were struggling to feed themselves, they had nowhere to sleep and being from Western Uganda they couldn’t speak the local language in the slum so felt completely isolated. Luckily, Kids Club Kampala was there to help them. One of our volunteers has kindly taken the children into her home and is looking after them, and we are looking for sponsors for these children. Sadly, this is not a one-off situation and we are constantly coming across children who have been abandoned, orphaned or homeless and are now living on the streets. Through our Abandoned Children programme, we are hoping to support families and train up foster carers to care for abandoned children, along with providing training in parenting and finding social workers to help us support these children and families. As little as just £5 a month can provide food for a family taking on extra children. We are also looking for Child Sponsors to help support these abandoned children’s education, to ensure that they grow up having a bright future. To sponsor a child to go to school is £25 a month. After Mary and Rita's mother died, they had no where to go and ended up sleeping on the street. 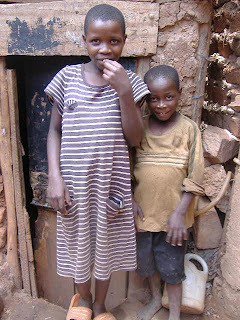 Thankfully, Kids Club Kampala helped them to get sponsored to go to school, and now they are both at boarding school and doing really well and are going to have a good future. Finally, our biggest aim for the future is to purchase land to build an emergency shelter for children to live in when they have nowhere else to turn apart from the streets. We would like to see a world without street children, where no child ever has to feel abandoned or unloved. We are looking for friends and supporters to help make this a reality.